Looking for CEO Peer Advisory Mastermind Groups? WHAT is a CEO Peer Advisory Mastermind Group? 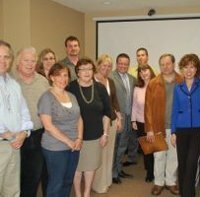 CEO Peer Advisory mastermind groups are small groups of like-minded entrepreneurs from non competing, similar sized businesses who gather together for the sole purpose of helping one another solve your current business challenges, brainstorm ideas and achieve specific goals. All of the CEO Peer Advisory Mastermind groups I offer consist of a CONFIDENTIAL peer group of only 6-12 members who rotate presenting their key business challenge and receiving invaluable peer member feedback, brainstorming and support. All members leave each month with specific action plans the group holds them accountable to complete. 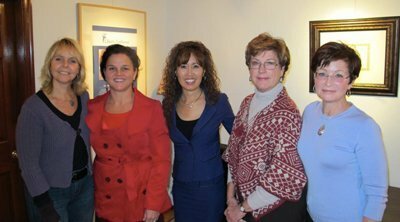 Some of the mastermind groups meet in person in Greater Philadelphia, PA areas. Other mastermind groups meet online virtually in a private video conference room. WHY Join CEO Peer Advisory Mastermind Groups? #1. Let’s face it. It’s lonely at the top. As the CEO you have so many critical decisions to make, and yet if you can’t confide to your employees and you certainly can’t confide with your competitors. Joining a CEO Peer Advisory Mastermind group provides much needed camaraderie together with other CEO’s on a similar journey. That’s why it’s so important to get connected with a core peer group from non competing, but similar size organizations who can walk alongside you on a regular basis to help you succeed. #2.We have all heard the advice to CHOOSE YOUR FRIENDS WISELY. We become like the 5 closest friends we surround ourselves with. When you join a CEO Peer Advisory Mastermind group your relationships go far deeper than merely a business networking relationship. You build long lasting, invaluable, deep friendships with other CEO’s who spur one another on to keep getting better … to keep growing personally, as a leader, as a business and in your families. #3. Learn from the collective wisdom of others. Often you are too close to your own business to ‘see the forest between the trees’. You receive the benefit of different perspectives, real life experiences. input and feedback from other CEO’s who have gone through similar struggles and challenges in their businesses. “ If you want to go fast, go alone. If you want to go far, go together.” ~ African proverb. #4. Your CEO Peer Advisory mastermind team bring resources and connections to the table you would not have had on your own. #5. You receive accountability and inspiration from the group, thus enabling you to maintain focus in doing what it will take to reach your goals faster and easier in your business. #6. 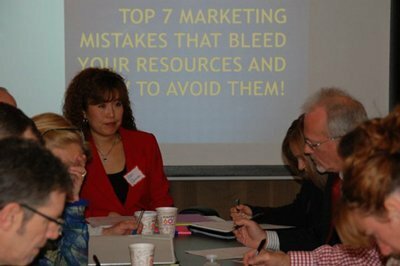 You also have the guidance from business growth expert Yoon Cannon (yours truly) as your mastermind group facilitator. 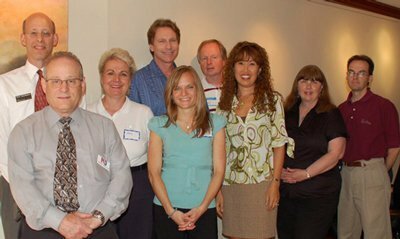 Many other CEO Peer Advisory Mastermind groups are facilitated by business leaders or franchisees who have never owned their own business. When you choose to apply for one of my mastermind groups you’re also getting access to my 26 years of starting and selling 3 other businesses, hiring and training 30-80 people on my teams and experience expanding into 6 additional branch locations. WHEN and WHERE Do the CEO Peer Advisory Mastermind Groups Meet? Each group has different meeting frequency. Some meet once a week while others meet once or twice a month. Some groups meet live in the Greater Philadelphia, PA area while other groups meet virtually. WHO are CEO Peer Advisory Mastermind Groups Right For? 7-FIGURE CEO’s: this group is made up of CEO’s of businesses with annual sales volume between 1MM-10MM from non competing businesses. Week 1: Weekly call with member matched accountability partner. Week 2: Private 1-1 Business Coaching Session with Yoon Cannon. Week 3: PUSH WEEK – each member gives total focus on implementing your monthly push goal. Week 4: Monthly FULL day CEO Peer Advisory Mastermind Group Session. 6-FIGURE ENTREPRENEURS: this mastermind group is made up of business owners from non competing businesses with sales volume under 1MM. Week 2: Private 1-1 Business Coaching Call with Yoon Cannon. Week 4: Monthly HALF day CEO Peer Advisory Mastermind Group Session. STARTUPS: this group is for new start up businesses as well as executives in transition. Members receive guidance, support, coaching and feedback on successfully launching your new business and/or new business divisions. Every group member must go through an interview application process to ensure that you are matched with the right mix of people for a well balanced give-receive relationship for all members. Once a candidate’s application has been approved you will be invited to visit a CEO Peer Advisory mastermind group session before both parties make a final decision to initiate and approve your one year membership. You can fill out your mastermind group application here.